One of the major benefits of Chapter 13 bankruptcy is that it can help you keep your most important possessions. Last week, we discussed how Chapter 13 can stop the foreclosure process and strip secondary mortgages. Did you know Chapter 13 bankruptcy can also reduce the amount of money you owe on your car? Bankruptcy attorneys call this process the ‘506 Cramdown’, or the Chapter 13 cramdown. So how does the Chapter 13 cramdown work? Here is a hypothetical example to give this concept some clarity. James is 31-year-old software engineer who has fallen on hard times. His $65,000 in student loans, $15,000 in medical bills and car payments have become too much to handle. To make matters worse, his rent continues to climb each year, making life even more unaffordable. James begins to consider the possibility of filing for bankruptcy, but he worries that if he does so, he will lose the vehicle he needs to get to work every day. As it turns out, James’ fears about his car may be unfounded. He bought his car in 2013 and currently owes $14,000. The fair market valuation of his car is listed at $8,000. James files for Chapter 13 bankruptcy, and to his surprise, discovers from his attorney that he might be able to keep his vehicle thanks to the Chapter 13 cramdown. So why is James eligible? Am I Eligible for the Chapter 13 Cramdown? James bought his car more than 910 days prior to filing for Chapter 13 bankruptcy. What he owes on his car was also far more than the fair market value of the vehicle. If the fair market valuation of his vehicle is accepted by the bankruptcy court, and he utilized the Chapter 13 cramdown and obtains his discharge, James would owe $8,000 on his car instead of $14,000. By filing Chapter 13 bankruptcy, James has also reduced monthly payments on his other debts. If he completes his Chapter 13 plan and obtains his discharge, some of those debts will be discharged. 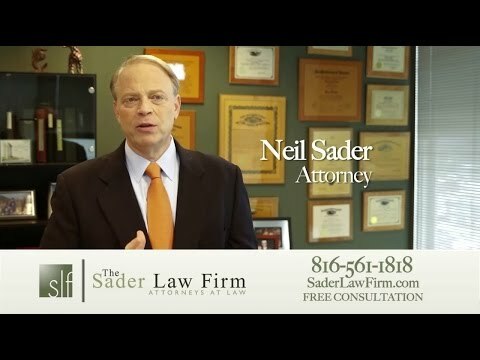 The Kansas City bankruptcy attorneys at The Sader Law Firm can help people find solutions for managing their debts. ← Can Student Loan Debt Hurt Your Mental Health?